2,021 people read this post. The evolution of Turkey in the early 1900s is one of the most baffling cultural and social changes in Islamic history. In a few short years, the Ottoman Empire was brought down from within, stripped of its Islamic history, and devolved into a new secular nation known as Turkey. The consequences of this change are still being felt today throughout the Muslim world, and especially in a very polarized and ideologically segmented Turkey. What caused this monumental change in Turkish government and society? At the center of it all is Mustafa Kemal, better known as Atatürk. Through his leadership in the 1920s and 1930s, modern secular Turkey was born, and Islam took a backseat in Turkish society. The decision of the Ottoman Empire to enter the First World War in 1914 turned out to be a horrible mistake. The empire was run by a dictatorship led by the “Three Pashas” who unilaterally entered the war on the German side, against the British, French, and Russians. The Ottoman Empire was invaded from the south by the British, from the East by the Russians, and by the Greeks in the West. By 1918 when the war ended, the empire was divided and occupied by the victorious allies, leaving only the central Anatolian highlands under native Turkish control. It was in central Anatolia where Mustafa Kemal would rise to become a national hero for the Turks. As an Ottoman army officer, he displayed great leadership in battle, especially at Gallipoli, where the Ottomans managed to turn back a British invasion aimed at the capital, Istanbul. After the war, however, Kemal made clear what his priorities were. His main goal was the establishment of Turkish nationalism as the unifying force of the Turkish people. Unlike the multi-ethnic and diverse Ottoman Empire, Kemal aimed to create a monolithic state based on Turkish identity. Mustafa Kemal’s skewed [and quite frankly, factually incorrect] views of Islamic history helped push his nationalist agenda. Using Turkish identity as a rallying point, he managed to unite former Ottoman officers under his command in the Turkish War of Independence in the early 1920s and expel the occupying forces of the Greeks, British, and French, who had encroached on Turkish land after WWI. 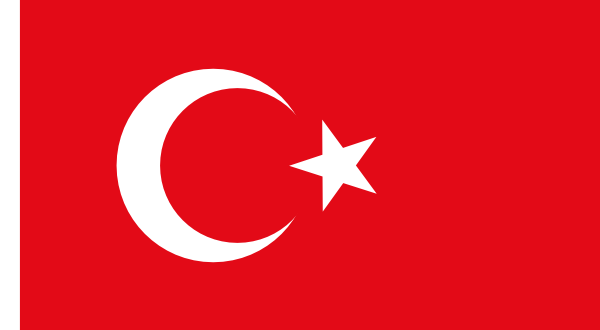 By 1922, Kemal managed to completely free the Turks of foreign occupation and used the opportunity to establish the modern Republic of Turkey, led by the Grand National Assembly, the GNA, in Ankara. At the head of the new Turkish government was a president, elected by the GNA. The natural choice was Mustafa Kemal, the hero of the War of Independence, who now took on the title of “Atatürk”, meaning “Father of the Turks”. At first, the new Turkish government seemed to inherit the role of the Ottoman government as the upholder of Islam. A new constitution drawn up by the GNA declared that Islam was the official state religion of Turkey and that all laws had to be vetted by a panel of Islamic law experts, to make sure they do not contradict the Shari’ah. This new system of government could not work, however, so long as there continued to be a rival government in Istanbul, led by the Ottoman sultan. The Ankara and Istanbul governments both claimed sovereignty over Turkey, and had frankly conflicting goals. Atatürk eliminated this problem on November 1, 1922, when he abolished the Ottoman sultanate, which had existed since 1299, and officially transferred its power to the GNA. He did not immediately abolish the caliphate, however. Although the sultanate was no more, he allowed the Ottoman caliphate to continue to exist, although with no official powers, only as a symbolic figurehead. Knowing that this move would be very unpopular among the Turkish people, Atatürk justified it by claiming he was simply going back to a traditional Islamic form of government. From the 900s to the 1500s, the Abbasid caliphs were mostly figureheads, with real power being in the hands of viziers or warlords. Atatürk used this example to justify his creation of a powerless caliphate. The caliphate had existed since the days following the death of Prophet Muhammad ﷺ, when Abu Bakr was elected as the first leader of the Muslim world. For Muslims outside of Turkey, Atatürk’s actions clearly put the office of the caliphate itself in danger. In India especially, Muslims expressed outrage at Atatürk’s actions and organized the Khilafat Movement, which sought to protect the caliphate from danger, whether by foreign invaders or the Turkish government itself. For Atatürk, the expressions of support for the caliphate from Muslims outside Turkey were seen as interference in internal Turkish affairs. Citing this supposed international interference, on March 3rd, 1924, Atatürk and the Grand National Assembly abolished the caliphate itself and sent all remaining members of the Ottoman family into exile. With the caliphate out of the way, the Turkish government had more freedom to pursue policies that attacked Islamic institutions. Under the guise of “cleansing Islam of political interference”, the educational system was completely overhauled. Islamic education was banned in favor of secular, non-dogmatic schools. Other aspects of religious infrastructure were also torn down. The Shari’ah council to approve laws that the GNA had established just two years earlier was abolished. Religious endowments were seized and put under government control. Sufi lodges were forcefully shut down. All judges of Islamic law in the country were immediately fired, as all Shari’ah courts were closed. Traditional Islamic forms of headdress such as turbans and the fez were outlawed in favor of Western-style hats. The hijaab for women was ridiculed as a “ridiculous object” and banned in public buildings. The calendar was officially changed, from the traditional Islamic calendar, based on the hijrah – Prophet Muhammad ﷺ’s flight to Madinah – to the Gregorian calendar, based on the birth of Jesus Christ. In 1932, the adhan – the Muslim call to prayer – was outlawed in Arabic. Instead, it was rewritten using Turkish words and forced upon the country’s thousands of mosques. Friday was no longer considered part of the weekend. Instead, Turkey was forced to follow European norms of Saturday and Sunday being days off from work. After all of these changes, the GNA gave up the charade in 1928 and deleted the clause in the constitution that declared Islam as the official state religion. Islam had been replaced with Atatürk’s secular ideologies. Atatürk knew these secular reforms would be futile if the Turkish people could manage to rally together to oppose them. The biggest danger to this new order was the history of the Turks, which since the 900s had been intertwined with Islam. In order to distance the new generations of Turks from their past, Atatürk had to make the past unreadable to them. With the excuse of increasing literacy among Turks (which was indeed very low in the 1920s), Atatürk advocated the replacement of Arabic letters with Latin letters. Much like Persian, Turkish was written in Arabic letters for hundreds of years after the conversion of the Turks to Islam in the 900s. Because Turkish was written in the Arabic script, Turks could read the Qur’an, and other Islamic texts with relative ease, connecting them to an Islamic identity – which Atatürk saw as a threat. In addition to the introduction of the Latin letters, Atatürk created a commission charged with the replacement of Arabic and Persian loanwords in Turkish. In keeping with his nationalist agenda, Atatürk wanted a language that was purely Turkish, which meant old Turkish words, that had become obsolete during the Ottoman era, came back into use instead of Arabic words. For example, the Turkish War of Independence, formerly know as the Istiklal Harbi, is now known as Kurtuluş Savaşı, because “istiklal” and “harb” are Arabic loanwords in Turkish. From Atatürk’s perspective, the language reform was wildly successful. Within a few decades, the old Ottoman Turkish was effectively extinct. The newer generations of Turks were completely cut off from the older generations, with whom simple conversations were difficult. With the Turkish people illiterate to their past, the Turkish government was able to feed them a version of history that they deemed acceptable, one that promoted the Turkish nationalistic ideas of Atatürk himself. All of these reforms worked together to effectively erase Islam from the lives of the everyday Turks. Despite the best efforts of religious-minded Turks (such as Said Nursi) to preserve their heritage, language, and religion, the government’s pressure to adopt secular ideas was too much. For over 80 years, Turkish government remained vehemently secular. Attempts to bring back Islamic values into government have been met with resistance by the military, which views itself as the protector of Atatürk’s secularism. In 1950, Adnan Menderes was democratically elected prime minister of Turkey on a platform of bringing back the Arabic adhan. Although he was successful, he was overthrown by a military coup in 1960 and executed after a hasty trial. More recently, in 1996, Necmettin Erbakan was elected prime minister, while remarkably openly declaring himself an “Islamist”. Once again, the military stepped in, and overthrew him from power after just one year in office. Modern Turkey’s relations with Islam and its own history are complicated. Portions of the society strongly support Atatürk’s ideology and believe Islam should have no role in public life. Other segments of society envision a return to a more Islam-oriented society and government, and closer relations with the rest of the Muslim world. Most troubling, however, is that the ideological conflict between these two opposing sides shows no signs of subsiding anytime soon. Hiro, Dilip. Inside Central Asia: A Political and Cultural History of Uzbekistan, Turkmenistan, Kazakhstan, Kyrgyzstan, Tajikistan, Turkey, and Iran. 9. New York: Overlook Duckworth, 2011. Print.